Checking the discharge line to make sure it is not stopped up or frozen. If necessary, unclog the air vent hole in the line. Checking the inlet screen to ensure that it’s not clogged with residue and debris. Do this three or four times per year. Making sure the float component is unobstructed and can move smoothly. Scanning the pit and removing any visible debris, mud, or stones. Testing the pump by slowly pouring a bucket of water into the pit. The float should rise with the water level, triggering the unit to start pumping. If pumping doesn’t begin, check to see that the unit is plugged in. Your float switch or check valve might also be at fault. Going outside to see that water is discharging and flowing where it’s supposed to go – well away from your home. Once a year, disconnect the pump from the power source and remove the unit. Flush it thoroughly with water to remove impurities and debris. While you have the pump out, also clean debris from the sump pit. Reinstall the pump and reconnect the power source. Test the unit by pouring a bucket of water into the pit and making sure the pump starts.If your unit has backup battery power, replace the battery every two to three years, or as directed by the manufacturer.Always refer to your pump’s instruction manual for specific information about maintenance and operation. 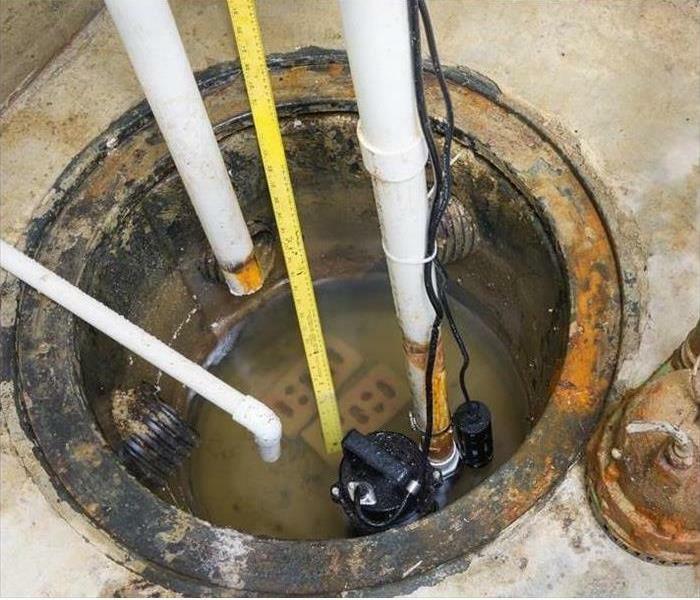 More information about sump pumps is available from the Sump and Sewage Pump Manufacturers Association.If your sump pump does fail Call (269)925-6841 and a crew from SERVPRO of Berrien County will come out and dry your basement and all other ares that are wet. Here in Southwest Michigan we get some very heavy spring rains. They usually come with powerful winds resulting in power outages. This combination results in many flooded basements. Are your drain lines clear of roots and debris so water can move to sewer? If not you could experience backups. Servicing Niles, New Buffalo, St. Joseph, Benton Harbor and other areas of Berrien County. SERVPRO of Berrien County is always ready to help commercial businesses in St. Joseph and surrounding communities. 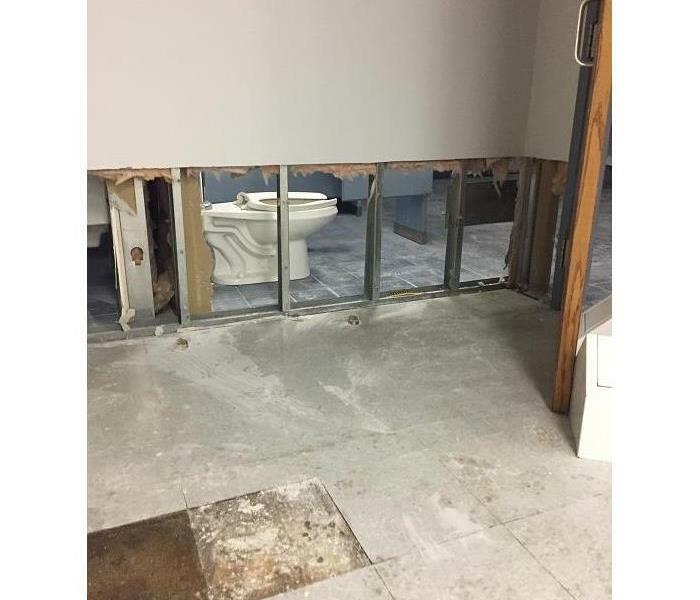 A commercial facility in Stevensville recently had a pipe break which discharged hundreds of gallons of water into office space. The water saturated floors and ran under the walls. The metal base channels filled with water which impacted drywall and insulation 1 foot up. It's the water you don't see that can cause the most problems. 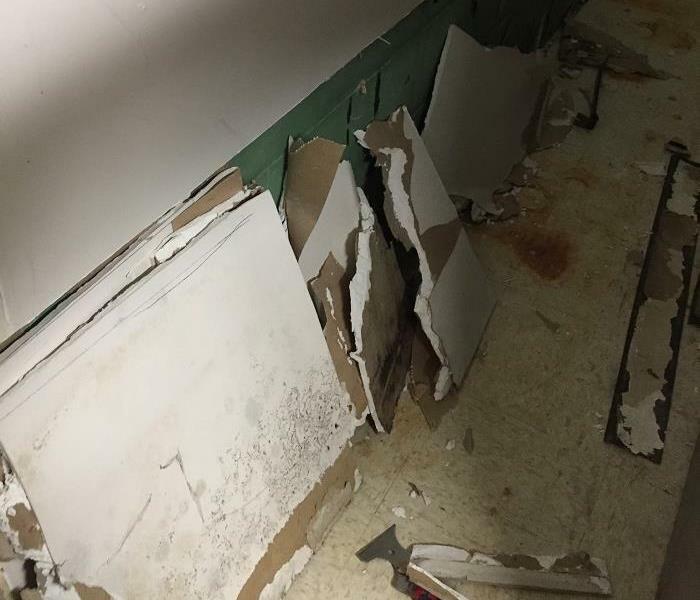 Within one hour of being contacted by the facility manager SERVPRO of Berrien County was on site extracting water and removing carpet and baseboard. Walls that had insulation were removed at 2 feet so the dehumidification process would be effective. Once building materials were dry and sanitized the rebuild could begin. Clean your gutters and drains before it rains. SERVPRO of Berrien County helps hundreds of home owners clean up water damage in basements every year. Most of these basement have water find its way in because the gutters are clogged with leaves, sticks and debris. Roof gutters are designed to carry water off the roof and drain it away from your home. Drains should be in good condition and extend at least 5 feet away from the foundation. Farther is the water flows back because the grade is poor. Most insurance carriers do not cover ground water flooding. They consider poor drainage a maintenance issue that is the responsibility of the home owner. So cleaning your gutters and properly draining water away from your home can eliminate costly damages. SERVPRO of Berrien County, MI is expert at cleaning and restoring homes damaged by fire and smoke. After smoke or fire damage, ceilings, walls, woodwork, carpeting and floors will often need a thorough cleaning. Your SERVPRO professional will pretest to determine the extent of damage, and then use the specific equipment and cleaning products required to clean and protect the different surfaces found in your home. Seasonal heating hazards are important to consider to prevent home fires. Space heaters should always be at least 3 feet away from combustible items. Lighted Candles should never be left untended. Fire places and chimneys should always be cleaned seasonaly. Check to make sure the flue is open before lighting the fire. 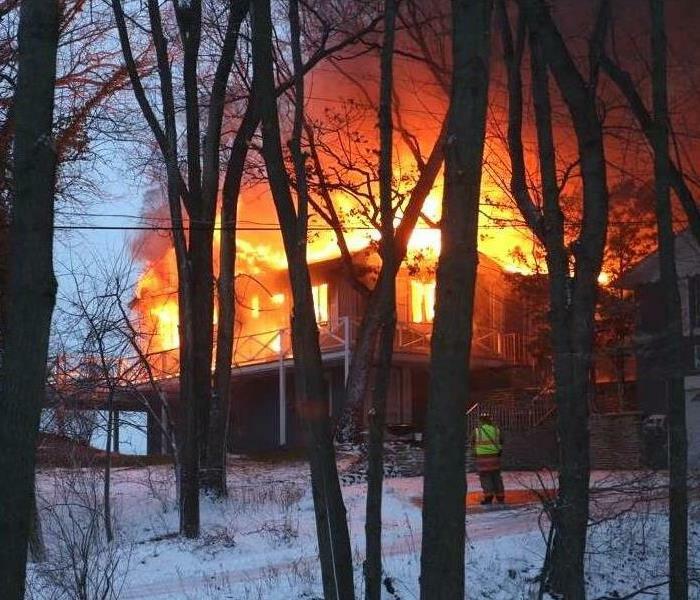 If you experience a home fire of any size, call your insurance company and then call SERVPRO of Berrien County at 269-925-6841 to inspect damage. 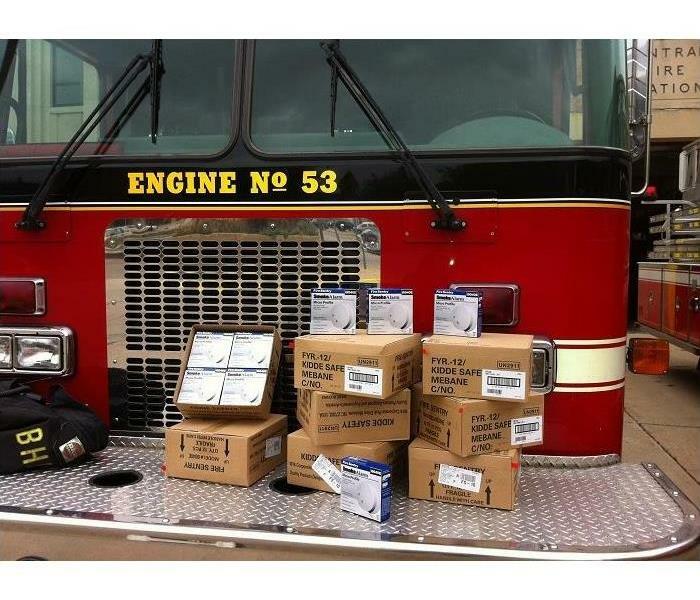 Smoke alarms distributed to Fire Depts for Berrien County residents. A National Fire Protection Association report shows an average of 7 people lose their lives as a result of house fires every single day. SERVPRO of Berrien County is helping prevent future tragedies. In recognition of National Fire Prevention Month, SERVPRO is donating new smoke detectors on a first come basis at area Fire Departments. Don’t add to sobering statistics. Be sure your home has a working smoke detector courtesy of SERVPRO, and brought to you in part by Mid-West Family Broadcasting. For more information, call SERVPRO at 269-925-6841. Berrien County ground water flooding. SERVPRO of Berrien County, MI is always ready to help homeowners dry out and sanitize their home after storms. February 2018 was a difficult time for South West Michigan when it rained for two days. The ground was frozen and the snow melted into runoff which flooded many areas by the river. Niles, Berrien Springs and areas of St. Joseph were greatly affected. Many were using boats to reach their homes. Flood waters contain all kinds of bacteria picked up from the ground and sewers. When this category 3 water enters your home it is important to remove affected materials and sanitize all areas. When ground water flooding affects your home, call SERVPRO 269-925-6841 to dry it out and sanitize to prevent mold growth. 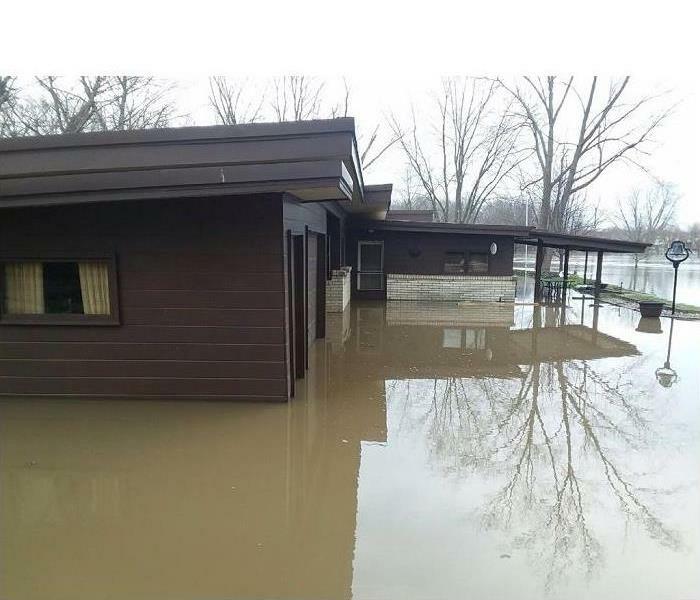 SERVPRO of Berrien County, MI responds to storm related damages. 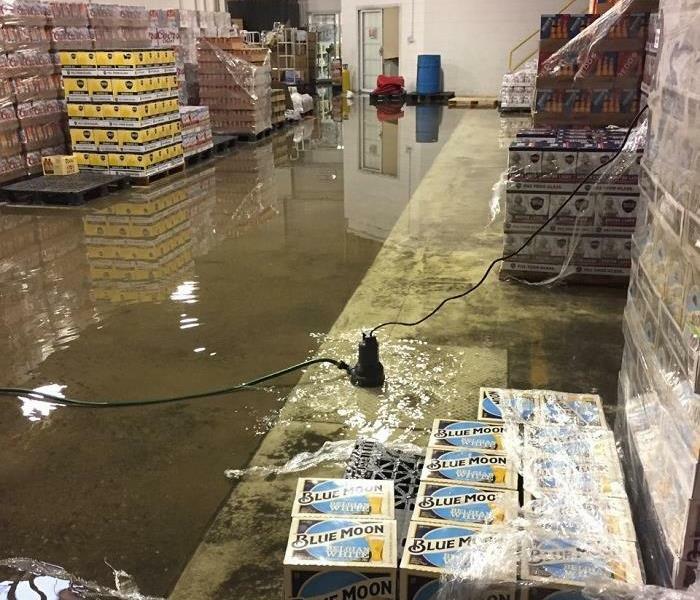 A St. Joseph, MI commercial beverage distribution business came to a halt when mother nature flooded the area with tremendous storms. The storm sewers were full and backing up into warehouses. This water mixed with sewer lines created a bacteria filled mess . SERVPRO was contacted to help remove standing water with pumps and extraction equipment. We worked through the weekend to help this company fulfill delivery contracts during it's busiest weekend of the year. Then SERVPRO concentrated on the office areas to remove affected materials, dry the wet structure and sanitize all areas inpacted by flood water. This customer was thankful that SERVPRO was there to immediately begin restoring their company to it's preloss condition. SERVPRO of Berrien County, MI is expert at the remediation and restoration of mold damage. - The presence of visible mold. - Strong musty odors, which may indicate mold in present. - Any evidence of past moisture problems that might have caused undetected mold growth. In this case the builder was unable to control the environment during construction. 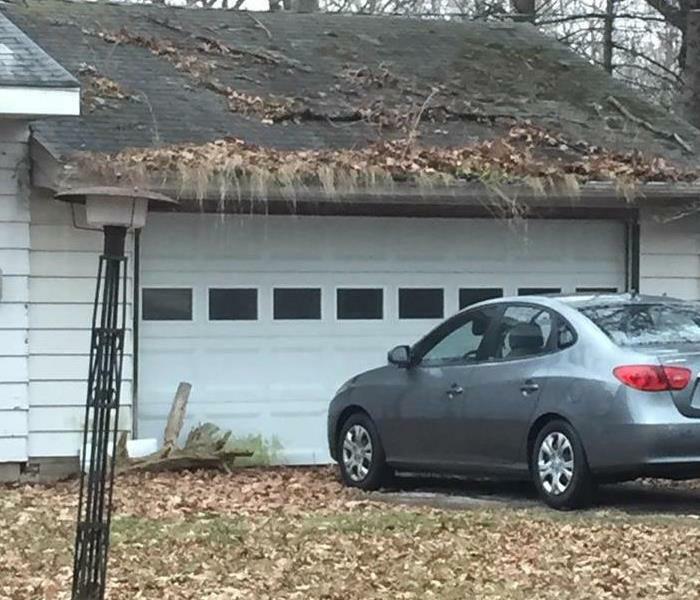 It was a very wet spring and the roof took longer than expected to install. 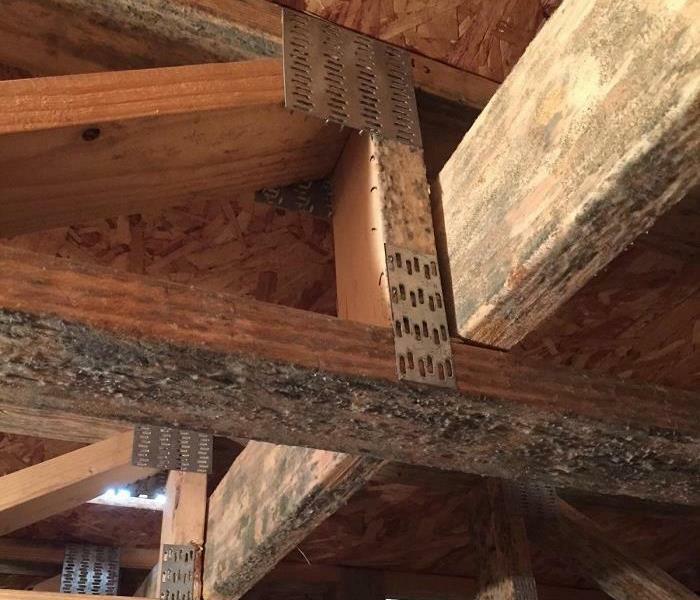 Mold grew on these new construction materials requiring remediation to kill the mold and remove . SERVPRO is expert at the removal and remediation of mold. Sometimes it's the water you don't see that caused the biggest problems. SERVPRO of Berrien County, MI is expert in the removal and remediation of mold inpacted facilities. Many times there are impacted areas that aren't visible. 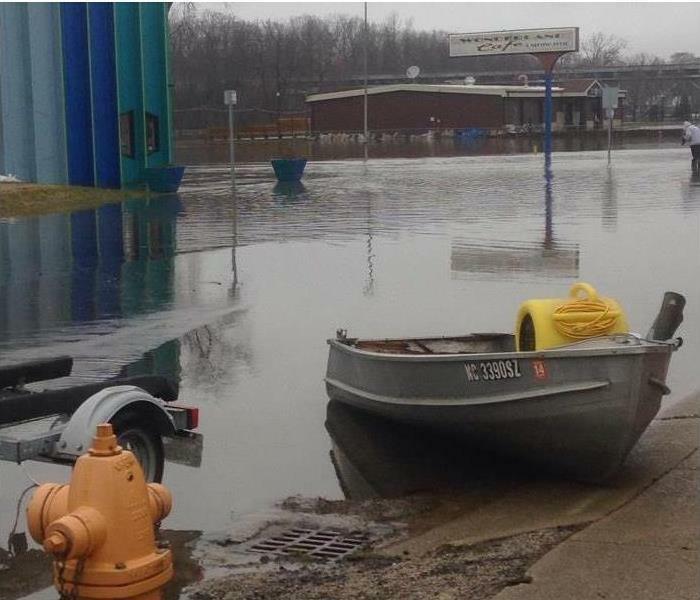 A Stevensville, MI business had some water in their basement storage areas. They removed the water themselves. Weeks later more water got in the basement and a terrible smell began seeping into the rest of the facility through the air conditioning system. They called SERVPRO to handle the situation. We extracted water from affected areas and set drying equipment. Then we sanitized the entire basement. But the telltale odor of mildew was still present. We found a previously mold impacted cement wall covered with drywall. This material was removed and the wall sanitized. The odor was eliminated. Sometimes hidden areas cause the biggest problems. 4/4/2019 - Maintaining a sump pump. 4/4/2019 - Clean your gutters and drains before it rains.